DimensionsUnder 2.5m highWall Profile: 28mmWidth: 3mDepth: 2mWall footprint width: 2.8mWall footprin..
DimensionsUnder 2.5m highWall Profile: 28mmWidth: 2.2mDepth: 3mWall footprint width: 2mWall footprin..
Our untreated London Log Cabin is 2.6m wide and 2.6m deep. It comes with 28mm walls, a tongue and gr..
Our untreated Olympian Log Cabin is 3m wide and 3m deep. It comes with 28mm walls, a tongue and groo..
Our untreated Hastings Log Cabin is 3m wide and 3m deep. 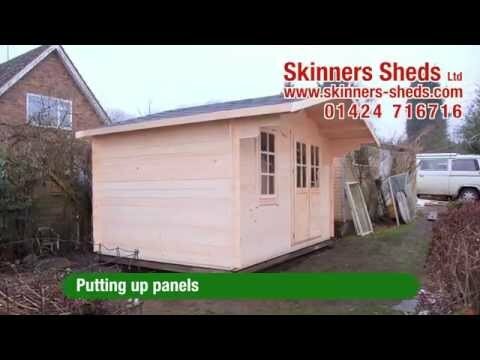 It comes with either 28mm or 44mm walls, a ..
Our untreated Faversham Log Cabin is 3m wide and 3m deep. It comes with 28mm walls, a tongue and gro..
Our untreated Gazebo Log Cabin is 3.5m wide and 3.5m deep. It comes with 28mm walls, a tongue and gr..
Our untreated Olympian Silver Log Cabin is 3.8m wide and 3m deep. It comes with 28mm walls, a tongue..
Our untreated Eastbourne Log Cabin is 3m wide and 2.5m deep. It comes with 28mm walls, a tongue and ..
Our untreated BidBorough Log Cabin is 3m wide and 2.5m deep. It comes with 28mm walls, a tongue and ..
Our untreated Storrington Log Cabin is 3m wide and 3m deep. It comes with 28mm walls, a tongue and g..
DimensionsWall Profile: 28mm, 44mm, 70mm, 90mm and twin skin 44mm+44mmWidth: 3mDepth: 3mWall fo..
DimensionsWall Profile: 44mmHeight: Under 2.5mWidth: 3.8mDepth: 3mWall footprint width: 3.6mWal..
DimensionsWall Profile: 28mm, 44mm, 70mm, 90mm and twin skin 44mm+44mmWidth: 3mDepth: 4mWall fo..
DimensionsWall Profile: 28mmWidth: 3.2mDepth: 5.2mWall footprint width: 3.05mWall footprint dep..
Verandah shown in image is not includedDimensionsWall Profiles: 28mm, 44mm, 70mm, 90mm and twin..
DimensionsWall Profile: 28mm, 44mmWidth: 3mDepth: 4.4mWall footprint width: 2.85mWall footprint..
DimensionsWall Profile: 28mmWidth: 5mDepth: 3.8mWall footprint width: 4.8mWall footprint depth:..
DimensionsWall Profile: 28mm, 44mm, 70mm, 90mm and twin skin 44mm+44mmWidth: 4mDepth: 3mWall fo.. Please note: Verandah is not included with this cabin.DimensionsWall Profile: 28mmWidth: 4.5mDe.. Please note the verandah show in image is not includedDimensionsWall Profile: 44mmWidth: 4mDept..